This vegetarian salad is great on its own. The addition of sliced steak or grilled prawns, would make a nice lunch or dinner. I would love this salad right now, to dress the top of pizza! In a small dish whisk olive oil and lemon juice together. 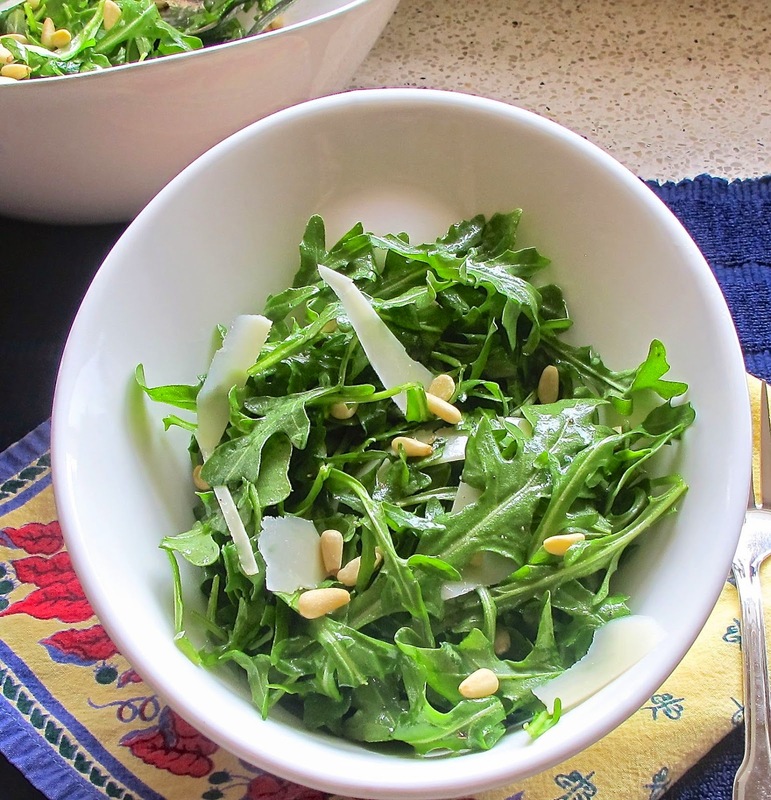 In a large bowl combine Arugula and pine nuts. Spoon on dressing mixture to amount desired. Season with salt and pepper, toss and check for seasoning. Shave Parmesan over top of salad with vegetable peeler.